Nearly 150 adults and children arrived at the exclusive Thainstone House Hotel on Saturday morning to revel in the delights of the Pentagon Freight Corporate Fun Day. The day kicked off in glorious August sunshine, and the weather only continued to improve throughout the day, helping to ensure a fantastic event was enjoyed by all who attended. The excellent Ambassador Suite and the surrounding grounds were fully utilised, which provided enough space for a vast array of Activities, all of which provided hours of fun and entertainment for the guests right throughout the day. 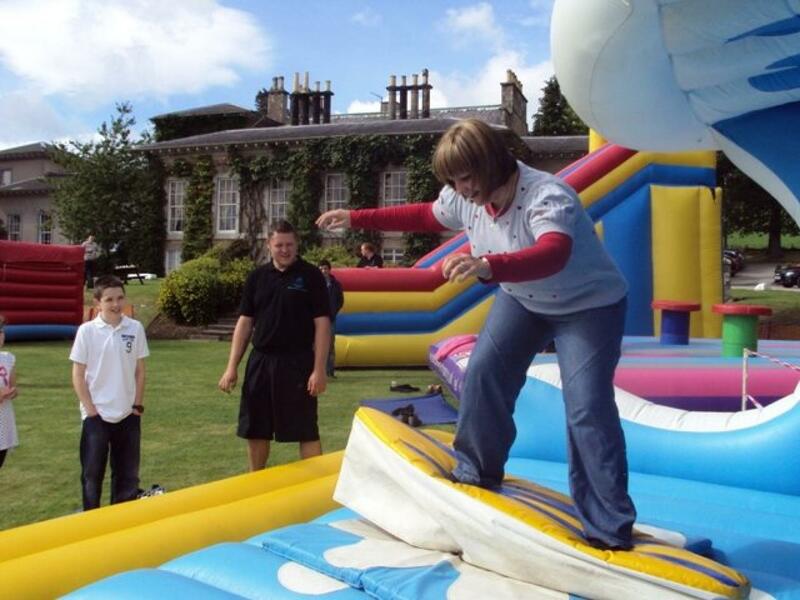 The Inflatable Fun Zone was a big hit with both adults and children, as the guests enjoyed racing on the Bungee Run, riding the Giant Slide, or trying to stay afloat on the Surf Simulator. Then there was the host of Inflatables for the younger children, including Bouncy Castles and even Ball Pools for the toddlers. 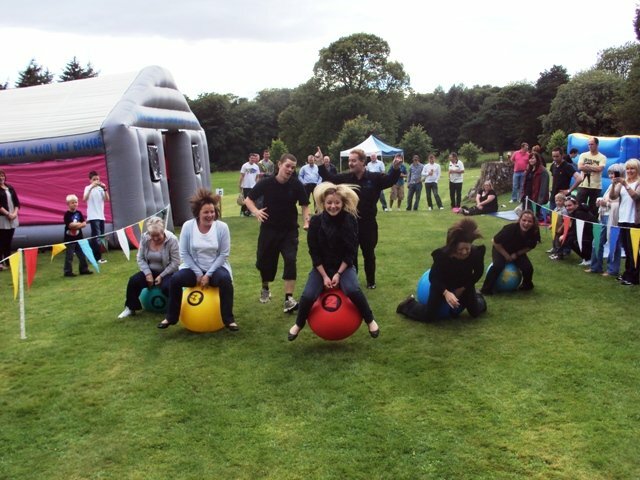 The corporate day entertainment didn't end there, with so many more activities on offer for all the family to enjoy. 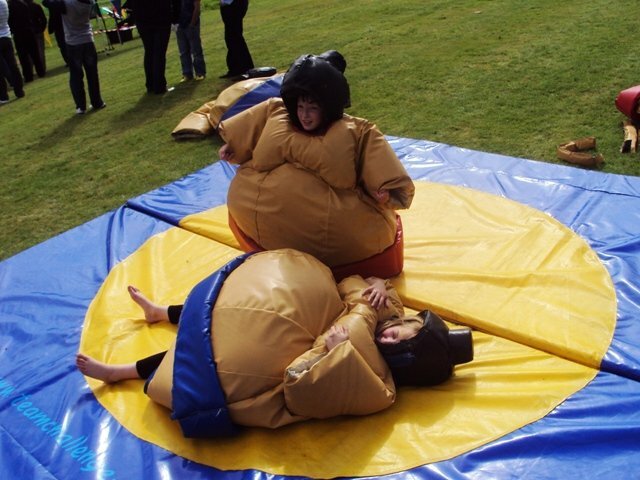 There was Face Painting, Sumo Wrestling and of course the Laser Clay Pigeon Shooting, where one of the highlights of the Fun Day took place with the big competition. Many came to challenge for the title, but only one was big enough and strong enough to handle the pressure, the man we now call THE TERMINATOR! Following the Laser Clay Competition, the event came to a crescendo with the Childrens and Adults Races. A large crowd gathered around the 'Race Arena' to watch the athletes battle it out on the hilarious races, which included the Spacehooper Dash and the Sack Race. 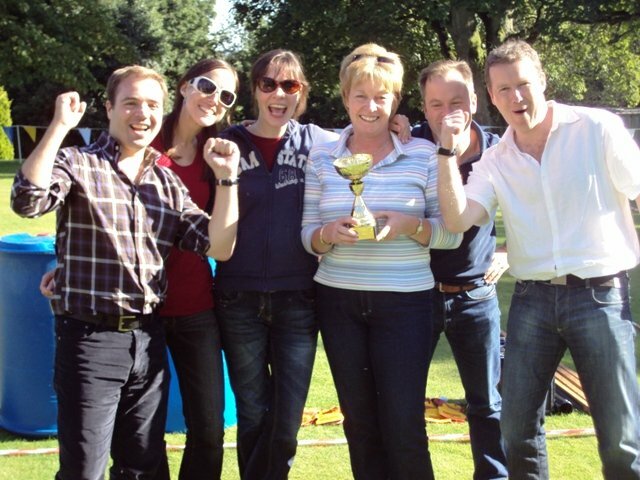 The Mums really stepped up to the challenge and enjoyed an enormous round of applause from the onlooking crowd. A truly fantastic afternoon had been enjoyed by all in attendance. 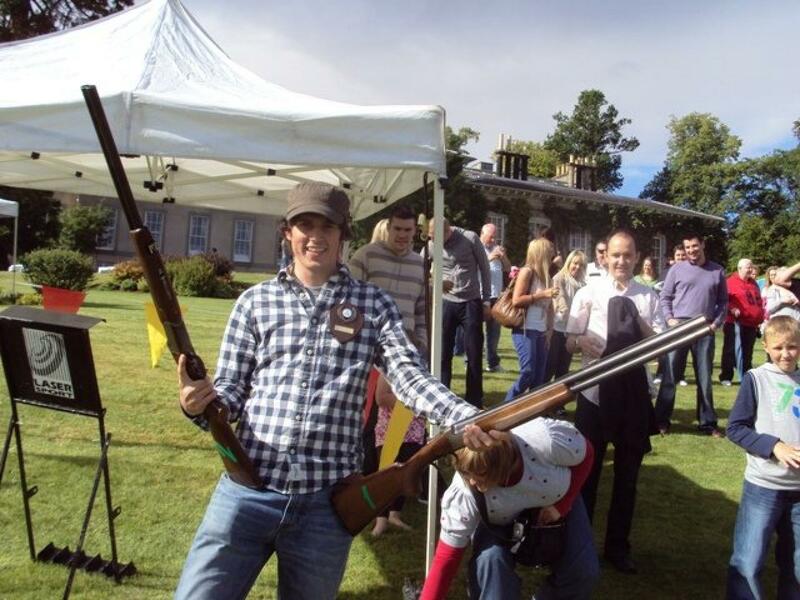 The entire event was a roaring success, ensuring everybody walked away with smiles on their faces and fond memories of their day and Thainstone House Hotel. 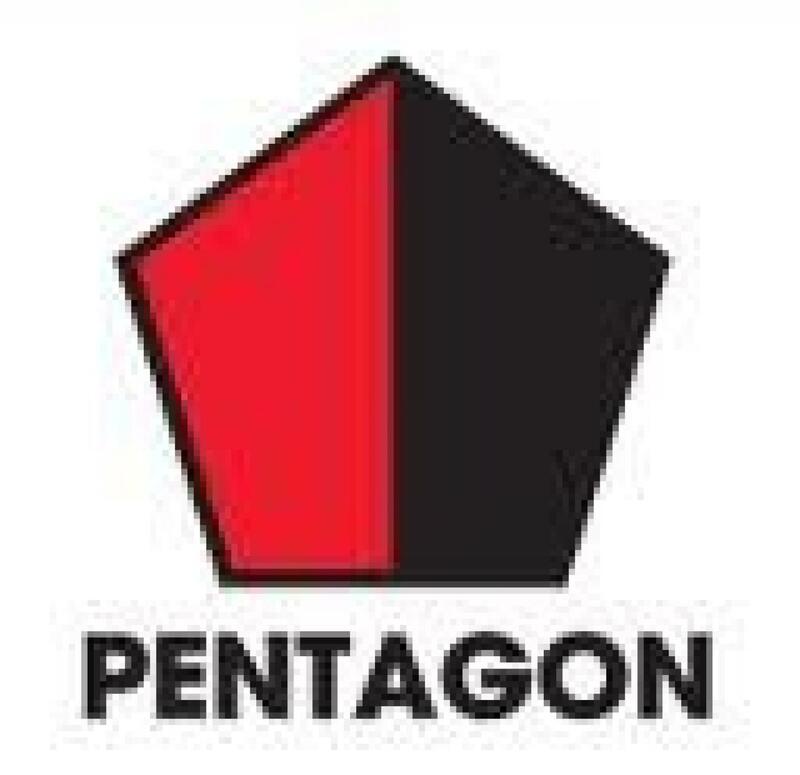 A big cheer goes out to all on the Pentagon Freight Organising Committee for all their hard work and effort in putting together such a fabulous day of entertainment, and it seems fair to say that both Team Challenge Company and Pentagon Freight Organising Committee are already looking forward in anticipation to next years Corporate Family Fun Day. Thanks to all at Team Challenge for a great day! Hope to see you all again soon!